Bahçıvan: "Our System of Education is Completely Estranged from a Culture of Production"
The September ordinary meeting of the Istanbul Chamber of Industry (ICI) Assembly was held on September 30, 2015 at the Odakule Assembly Hall on the main topic of the agenda, "The Eroded Culture of Production and the Yesterday, Today and Tomorrow of Culture and Art in our Lives." Kültür University Faculty Member and Author Prof. Dr. İskender Pala was guest at the meeting at which ICI Board President Erdal Bahçıvan made the opening remarks. ICI Board President Erdal Bahçıvan emphasized that Turkey had to create a production economy cycle with high added value, one that is based on advanced technologies, is environment-conscious and sustainable, if it is to take its place among the leading 10 economies in the world. He said, "The first thing that has to be worked on and remedied to achieve such a transformation in the economy is the weakness of Turkey's production culture. The high schools and universities should include courses on "production economy and the production culture" in their curriculums. TV series that are viewed by a wide audience should reflect a new understanding that is conducive to developing a production culture." 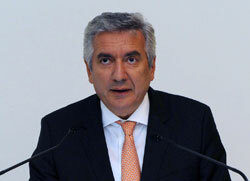 In his talk, Bahçıvan called attention to the fact that the Consumption, Real Sector and other sector confidence indices were exhibiting negative trends in this last period, adding, "We believe that the drop in confidence in the economy in recent months was caused by the general global atmosphere, local political and economic developments, as well as by the heinous influence of terror in Turkey. 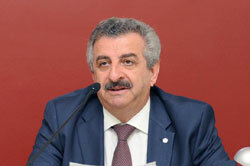 Assembly Vice-President Hasan Büyükdede opened the Istanbul Chamber of Industry's September ordinary meeting. Hasan Büyükdede began his talk by first congratulating all gathered on the occasion of the Festival of Sacrifice. Later, reminding the audience of the acts of terrorism that had been witnessed in this last period, Büyükdede commemorated those who had died and offered his condolences to their families and loved ones, conveying important messages that reflected his abhorrence of terrorism. "The work of tradesmen and artisans used to be at the level of simple labor. Those involved in production today are involved on a global scale. The world is changing and everyone is becoming more and more connected. Thanks to the advances made in transportation and communication technologies, cultures are now becoming more and more connected. This process is leading to the formation of a joint world culture. People are leaving their previous lives and cultures behind. The world is now embracing a common language, common tastes, architectural concepts and all that goes with this. The toys that children play with, the education they receive, the foods they eat, now meet on common grounds. People's needs have changed greatly compared to the past and a culture of egotistic life views are now dominant." Another topic on the agenda was the relocation of Istanbul Chamber of Industry Headquarters to the Odakule building. 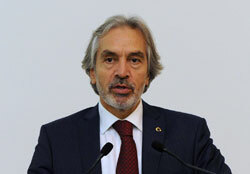 ICI Vice President İrfan Özhamaratlı explained the work so far undertaken by the ICI Real Estate Commission on this matter in this way: "As ICI, we own two pieces of property--our headquarters building on Beyoğlu Meşrutiyet Caddesi and Odakule at Tepebaşı. Our goal has been to carry on all ICI activities under one roof. Our Headquarters building was considerably old. In order to be able to realize our project of moving to the Odakule building at this point, we would like to start an approval process for the ratification of this project by our Assembly. Following ICI Vice President İrfan Özhamaratlı's talk, the members of the ICI assembly unanimously voted for a relocation of Headquarters to Odakule, giving the Board of Directors authorization for the move. 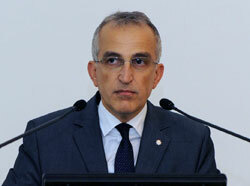 Later, ICI Board President Erdal Bahçıvan took the floor to speak about the main topic of the agenda. Bahçıvan began his words by calling attention to the slump in the economic confidence indices, pointing to the fact that these low levels were usually expected only in times of crisis. Additionally, Bahçıvan said that the recent developments in the country and in the global economy had weakened confidence in the economy. ICI President Bahçıvan: "The developments in the U.S. and China as well as the increase in the perception of risk with regard to developing countries were instrumental in the fall in the confidence indices. The developing countries, of which we are one, are expected to experience a slower growth rate in the years ahead. Recently, bankruptcy fears created by the news stories about some international companies have caused brief waves of shock in finance markets, which in turn impacts the confidence felt in the global economy." The fundamental problem here in short is that education focuses not on being a part of production but rather on ways that production can be avoided. The high schools and universities should include courses on 'production economy and the production culture' in their curriculums. Production culture should be encouraged from the standpoint of the law, the media, politics and all other channels that have the capacity to influence society's set of values. In this context, an industry museum on the culture of production should be established as well as activities organized such as thematic exhibits and short film competitions. Television series are very effective today in communicating useful messages. These series are viewed by a wide audience and messages concerning the real economy, real production and production culture are conveyed. The television programs generally portray a business culture that is based on desk or office work. We believe that a new concept that promotes production and the production culture should be promoted." ICI Board President Bahçıvan also criticized in his speech the extension of the Festival of Sacrifice vacation to encompass the entire week. Bahçıvan said, "These types of decisions may relate to public enterprises and organizations but besides being inappropriate, they lead to a significant loss of productivity in the real economy in terms of planning, budget challenges and working discipline, as well as to a slowing down of the production wheels of industry." Following this, the guest of the September Assembly meeting, Kültür University Faculty Member and Author Prof. Dr. İskender Pala spoke to the audience about cultural life in Turkey. Pala said that people were not born cultured but were instead born into a culture and adopted the culture of the place of birth. Pointing out that civilizations were formed when cultures are adopted by a society and made into a lifestyle, Prof. Dr. İskender Pala remarked that the face of civilization was posed toward the future but that the face of culture was posed toward the past. İskender Pala said that societies could not build a future without extracting strength from their culture and stressed that any claims to civilization needed to be based on culture. İskender Pala called attention to the fact that nations grow stronger when the values binding generations throughout history grow stronger but that nations grow weaker when these values become eroded. He said that societies rise under the reign of good people. Underlining that we had not been able to make a significant contribution to world culture and arts in the last 200 years, İskender Pala continued to say that culture was needed to reach civilizations but that knowledge was needed to reach culture, thus emphasizing the importance of investing in this knowledge. Pala said that there was a plethora of Western artists coming to Turkey for concerts, festival and art exhibitions but that no Turkish artist or person involved in cultural events caused the same impact in the West. He added that the deficiency of knowledge in society today led to the import of art. 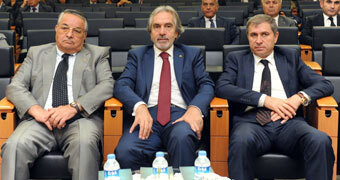 Iskender Pala called upon the industrialists to invest in art. He explained that money could be earned with money but if money was to be used for the benefit of future generations, it needed to be invested in art and culture. Pala ended his words by saying that the future of Turkey's cultural life depended upon joining the forces of money and art.